Way back in January, Holley at Chasing Destino and I thought it would be fun to do a long distance art project – and from this one project, so many other ideas were born… but let me stay on task! It didn’t take long before each number was assigned to a blogger. We emailed out the puzzle and you mailed your art work back! I’m just so excited! So, without further ado…. Our Pin Pals Completed puzzle!! 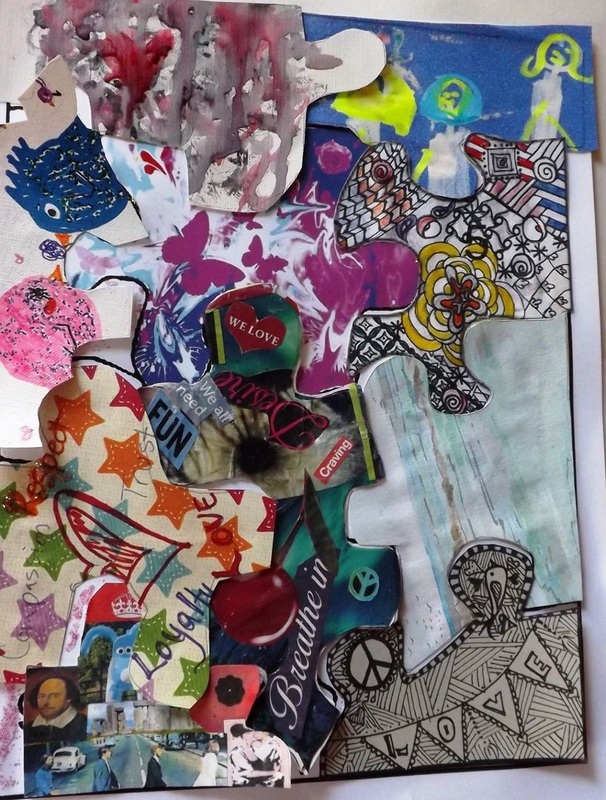 I love how all of the different pieces came together and made a beautiful piece, even though it all is so different! And a special thanks to Holley for compiling the pieces and taking the picture for us! There were a few people that didn’t get their pieces in, and one of Holley’s kids came to the rescue, so I think that makes it just as special! And, I’m not going to lie, before I matched up the numbers to the people, I tried to guess which piece you had completed… and boy was I wrong!! And I had fun being wrong! 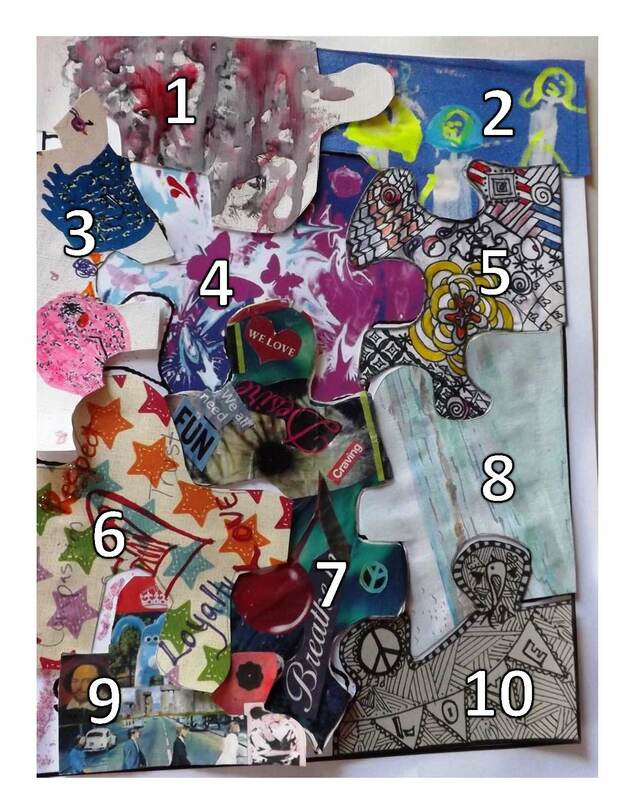 So, everyone needs to look at the puzzle, the art work that came from all over – Cornwall, Canada and California, and then a few places that don’t start with a “C”, and then go check out all of the bloggers that participated! Thank you so much to everyone who participated, and who waited so long for me to get my act together! This was fun and I love how we got to come together from all over to share a love of art! Are you of the age that you remember pen pals? For those that don’t know what it is, I really don’t have time to explain to you how we used to write letters on paper. And then snail-mail them! Okay, I never really had a pen pal, but I wanted one – it looked so cool in the movies! In today’s technology driven society, we’ve replace pen and paper with Pinterest. And, not going to lie, I do love Pinterest! 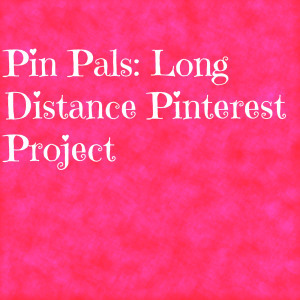 Holley at chasingdestino.com and I were talking the other day about how fun it would be to do a Pinterest project together. Sadly, we are separated by half a dozen States, so that presents a bit of a problem – but we decided not to let the distance stop up! Holley found some great inspiration on Pinterest and we settled on a puzzle. 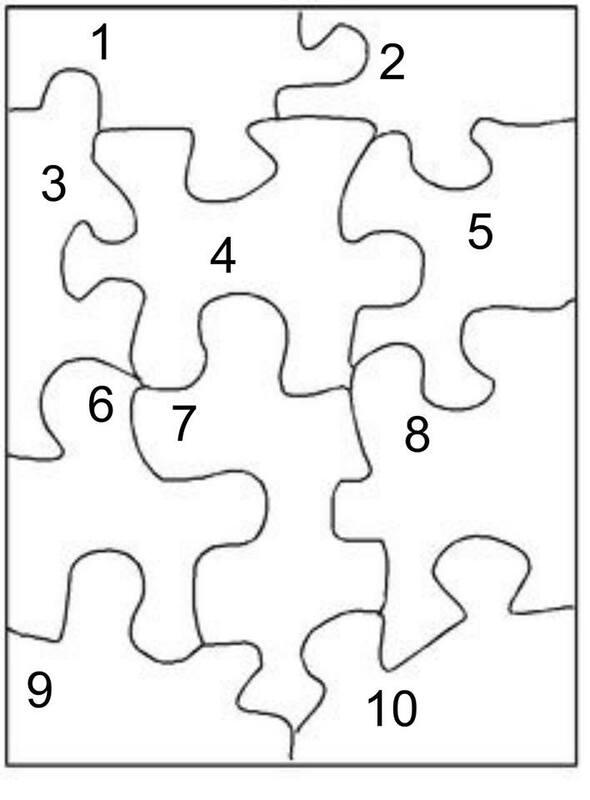 We have a blank puzzle that we will email you and assign you a number, and then you decorate your piece and mail it back! Think about how amazing it will be when all of the pieces come back home and we put it together – I can’t wait to see how everyone decorates their piece! This is the inspiration pin – how cool is that?!? Clicking on the picture should take you through to the original if you want to read more. Let me know if you want to be a part of this – I know there are several artists out there that I would love to see participate, and there are some of you that have kids that could have a blast with this one! It’s due back February 14th and we’ll take lots of pictures and get those distributed to the participants before we publish the final piece! Come on!! Let’s be Pen Pin Pals! Email me, text me, let me a note, let me know that you want a piece! Join us!